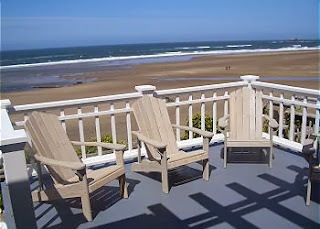 Chinook Winds Casino is conveniently located in walking distance to many of the Oregon coast beach house rentals in Lincoln City, and an easy drive from many popular accommodations in the surrounding areas. The casino features frequent tournaments and promotions, but it’s about much more than just gambling, so if you’re not the betting type don’t be put off by the title of this entertainment destination. Chinook Winds also offers world-class golf, concerts and comedy shows with performers from far and wide, a play palace and games for kids, and all sorts of special events throughout the year. A variety of dining options are also available, ranging from buffets and casual fare to fine dining, delectable seafood, and swanky lounges. While you may think a coastal town will be all shut down during the winter, coastal Oregon towns such as Lincoln City are home to local residents and visitors year-round, so most businesses are still open on the main street. In Lincoln City, Highway 101 is the main street, where you will find everything from gift shops to glass blowers to charming eateries to enjoy. And with more than 20 beach access points from central Lincoln City, this is a great place to start a stroll on the beach as well, which is equally beautiful in the winter as the summer, as long as you have a coat. Razor clamming by lantern is a popular activity on the Oregon coast this time of year, due to the frequent minus tides. There are still several days to enjoy minus tides this winter, including those from December 30 – January 3 and January 28 – February 2. There are even clam digging lessons available for beginners. Or if you’re not interested in digging for your own dinner, most Oregon coast beach rentals are within walking distance of local restaurants where you can let someone else do the work and simply enjoy the delicious results. There’s more than enough to do in the great outdoors when you’re staying in one of our beach house rentals. Oregon coast beaches offer endless activities such as beach combing, clamming, crabbing, surfing, and whale watching. Aside from beach activities, the local landscape also offers opportunities for bird watching, cycling, eco-excursions, hiking, horseback riding, fishing, golfing, skateboarding, wildlife viewing, and more. Not to mention Lincoln City’s Connie Hansen Garden, the History Buff Tour and Haunted Tour, the state and national parks around the coast, daytrip destinations, outdoor activities for kids, and various festivals and events that take place outside throughout the year. The Oregon coast is about much more than oceanfront property. Oregonseaside towns such as Lincoln City also offer various activities that feed your five senses, including cooking classes, cook-offs, and other culinary pursuits. Under the guidance of Executive Chef Sharon Wiest, the Lincoln City Culinary Center offers group and private cooking classes that celebrate the seasonal cuisines of Oregon, from fresh seafood, grass-fed meat and free-range chicken to organic fruits, vegetables and grains. You might even get to dig for clams, visit a farm, or attend one of the many cook-offs held throughout the year in Lincoln City, including the Chowder, Fish Taco, Jambalaya and Wild Mushroom Cook-offs. Coastal Oregon boasts some of the most unique, inimitable shops and businesses you’ll find, and did we mention tax-free shopping throughout the entire state? Vacationing to the big cities might leave you with bags of mall-bought items that you can find in many other cities around the world, but shopping on a trip to the Oregon coast will leave you with something you won’t find anywhere else. Just consider the glassblowing studios throughout Lincoln City, where you can purchase one-of-a kind glass art, or even create it yourself while staying in one of our beach vacation rentals. Oregon coastal towns also offer numerous art galleries and gift shops where you can view and purchase unique treasures to remind you of your time here. Chances are, though, that you’ll be back for more sooner than later, once you’ve gotten a taste of what this splendid stretch of coast has to offer. Enjoy 2014 From A Beach House Deck! Toast in the New Year from the deck of one of A-1 Beach Rentals’ Beach Homes! Don’t Forget the Beach This Winter! Awesome views and ocean vistas abound at Lincoln City and Depoe Bay! Come enjoy! Now is the perfect time to explore coastal Oregon in one of our 26 superb vacation rentals. Lincoln City, Oregon is a popular travel destination in the summer months, but there is much to explore during autumn and winter as well. And when you consider that A-1 Beach Rentals is offering a November & December special, it makes this magical stretch of coastline even more appealing. That’s right, all travel during these two months (booked after November 1st) will come with this very special deal: book two nights, and get a third night free! If you’re looking for an excuse to get out of town for an extended weekend or mid-week getaway during the holiday season, this could be your ticket. A-1 Beach Rentals offers 26 different homes and condos to choose from throughout the Lincoln City and Depoe Bay areas of the Oregon coast. These include historic homes, charming craftsman, and modern homes and condos that can accommodate singles, couples and groups of up to 16 people. These outstanding rental units range from one bedroom to seven bedrooms, and some offer additional sleeping surfaces such as pull-out sofas to accommodate additional guests. Many of these homes are right next to the coastline, even offering private beach access, while others are nestled into areas where hiking to secluded trails and walking to the quieter beaches and tidal pools is an easy option. Many rentals also offer hot tubs for a sumptuous treat with perfect views of the ocean. Even in the colder months, there’s still plenty to do while staying in one of these finely appointed beach rentals. Lincoln City, Oregon is the ideal place to hunker down for a weekend of storm watching, for example, or an excellent departure point for a day of whale watching. There are plenty of local shops to peruse any time of year, particularly if you enjoy handcrafted gifts and blown glass. The Chinook Winds Casino is a close walk or drive away, where you’ll find dining, entertainment and much more than just gaming. Other local restaurants offer dining options that range from modern American to classic seafood dishes, and much in between. And, there will be numerous holiday fairs and craft bazaars this time of year. Right now, there are many reasons to consider a getaway to one of A-1’s beach vacation rentals. 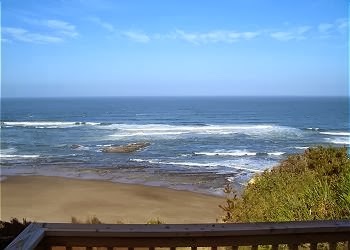 Lincoln City, Oregonis a fine place to visit any time of year, but with these November and December specials, there’s an even better excuse to book your stay today.